This course affords participants with the opportunity to learn in an interactive, in person course, designed to reinforce and provide the opportunity to practice all the skills learned in the Motivational Interviewing online course (or both of its modules). Once a care manager completes the Motivational Interviewing course* they are eligible to attend this in-person, half-day course to strengthen their interviewing technique and build their confidence in using this important skill. Case studies, paired interviews, and instructor feedback allows care managers to practice and refine motivational interviewing knowledge acquired during the Motivational Interviewing online course. 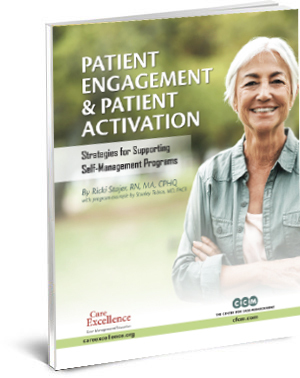 Care managers will leave with the confidence to integrate motivational interviewing strategies into work with clients. *The Motivational Interviewing Practicum is only available to care managers who have successfully completed both of the Motivational Interviewing online course modules (Motivational Interviewing Core Principles and Motivational Interviewing Strategies and Techniques). We will work with you to coordinate the best time to run the course. Your cost per student is separate from facilitator and travel fees. Total cost depends on number of participants, location, etc. Let’s talk! The Motivational Interviewing Practicum for Case Managers course has been pre-approved by the Commission for Case Manager Certification (CCMC) to provide 4 hours continuing education credit to Certified Case Managers (CCMs). Refund Policy: You must make your withdrawal notification in writing to the Institute at least three working days before the first day of class for a full refund. Refunds or transfers will not be issued after the first day of the course or if you’ve accessed the course material online at any time.